The recently-launched app works as a digital magazine, letting consumers download individual issues at a time. 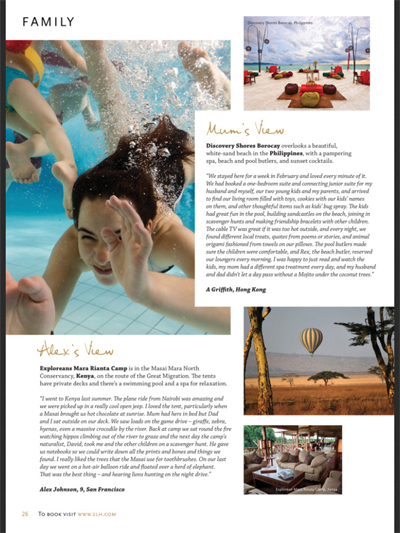 The SLH magazine includes advertisements, editorial and multimedia touchpoints. “With this new app, SLH is aiming to expand readership of and interaction with its Be Inspired publication,” said Taylor Rains, account coordinator at Rawle Murdy Associates Inc., Charleston, SC. “By transitioning the publication to a digital app platform, SLH is leveraging the direct delivery capabilities available with mobile and tablet apps. “Value comes with controlled exposure,” he said. “SLH’s magazine provides the brand with an outlet to reach the digital affluent consumer while minimizing the risk associated with digital outreach. Mr. Rains is not affiliated with SLH , but agreed to comment as an industry expert. SLH did not respond before press deadline. 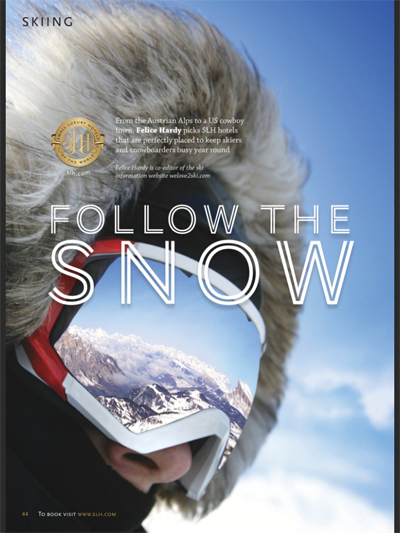 The inaugural issue of Be Inspired features shopping and dining tips, ski locations, sailing vacations and what gives hotels the “It” factor. Each of the sections points to a specific SLH-brand hotel as a choice destination. Tapping on a story on the content page takes readers to that article, or consumers can manually scroll through the magazine page by page. There are multiple images, content and ads from brands including Ettinger, Dom Perignon and Molton Brown. Other articles have videos. 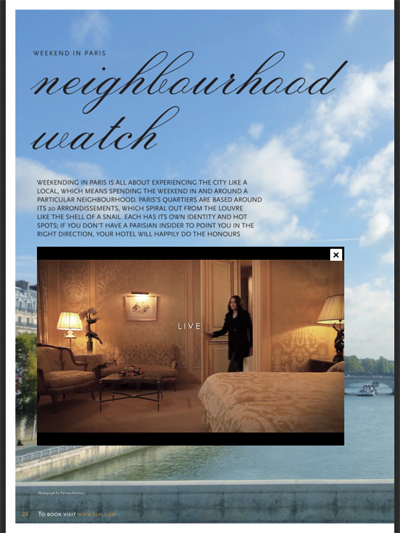 For example, consumers can watch a video of the Hotel San Regis in Paris or a message from the SLH executives. The SLH app also makes it easy for consumers to book reservations at the hotels. The entire back section of the app includes the continent, country, number of rooms and contact information for each SLH hotel. Tapping on a hotel’s Web site brings up an optimized page where consumers can book reservations wherever they are reading their tablets. In addition to property pushes, the app includes lifestyle tips such as activities, shopping and dining around each of its hotels. “Magazines have always been a means of strengthening a brand,” Mr. Rains said. “With luxury hotel brands, magazines serve to tell a property’s story and paint a picture for the consumer. “Digital magazines allow for a similar benefit while also increasing the reach of each publication,” he said. Many luxury hotels are dipping into social media and mobile to push new products, most specifically through branded magazines or apps. 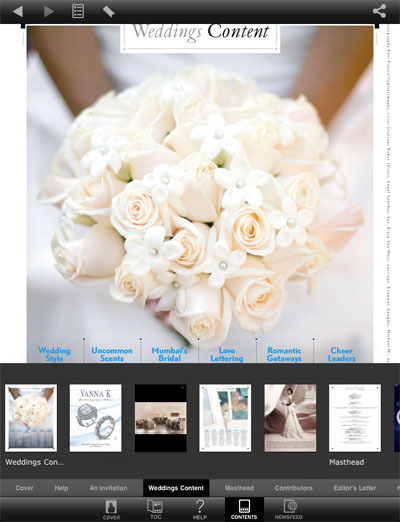 For example, hotel chain Four Seasons Hotels & Resorts is positioning itself as an expert on luxury wedding planning with a new tablet magazine application and dedicated social media handles (see story). The hotel brand established a magazine that is available to brides on-the-go via a tablet app, a blog and a glossy magazine distributed at Four Seasons properties. There are now wedding-only Twitter and Pinterest accounts dedicated to sharing expert tips from the hotel’s staff and stories from real Four Seasons brides. Affluent consumers enjoy being the first ones to have the newest and best technology such as smartphones and tablets. Moreover, they are the consumer group that has the most means to buy tablets and smartphones. Therefore, luxury travel brands in tune with mobile marketing are likely hitting the right market. “Apps are proving to be a far more effective way for a luxury brand to engage with its target consumer than previously anticipated,” Mr. Rains said. “Apps allow consumers to engage with far more frequency than other touchpoints. “When used appropriately, apps have the potential to enhance the consumer experience and relationship with a brand,” he said. “Luxury hotel brands have been progressive in their willingness to explore digital platforms and enter into the conversation with consumers. “SLH’s move into the magazine app arena demonstrates the brand’s willingness to evolve while maintaining the core of its identity intact.